Sanford Fishing’s fishing vessel SAN GRANIT seen at berth in the port of Lyttelton, New Zealand. Acquired last year from Norway’s Halstensen Holdings for an amount believed to be $25 million, the trawler was delivered to New Zealand late last year and is now homeported at Timaru. 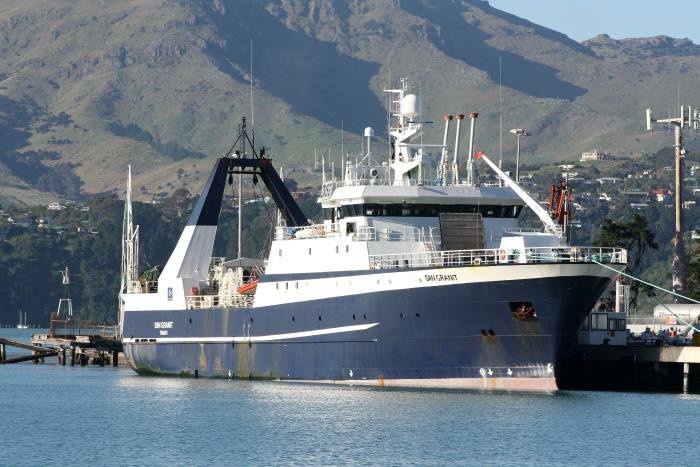 Her acquisition brings the New Zealand fleet to 11 factory trawlers and is designed to increase fishing catchments of squid, hoki, and southern blue whiting off the coast of Timaru, and help Sanford to diversify through increased stock processing flexibility. 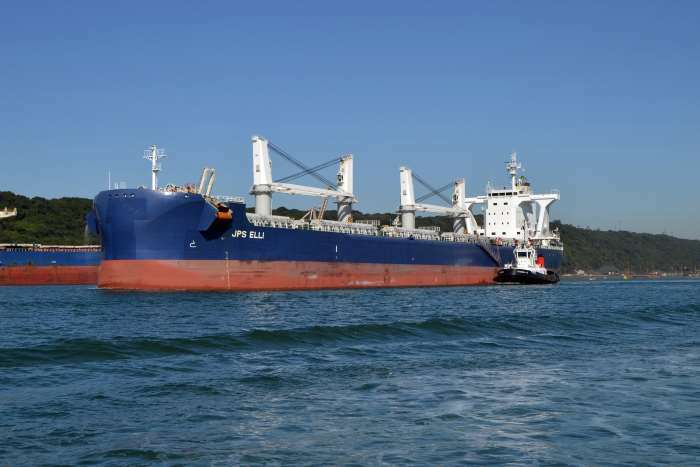 San Granit is 67 metres long and 14m wide, weighs 2478 tonnes and has a 4525 horse power engine. She can freeze 80 tonnes of finished product in 24 hours and store 550 tonnes of product on board, ready for export. A spokesman for Sanford said that prior to San Granit’s arrival the existing fleet was unable to reach its catchment quota for some fish species, and the new ship would help to support that goal. French shipping ine CMA CGM has launched a second Midas service linking India with Africa to provide better transit times and a wider coverage of ports. 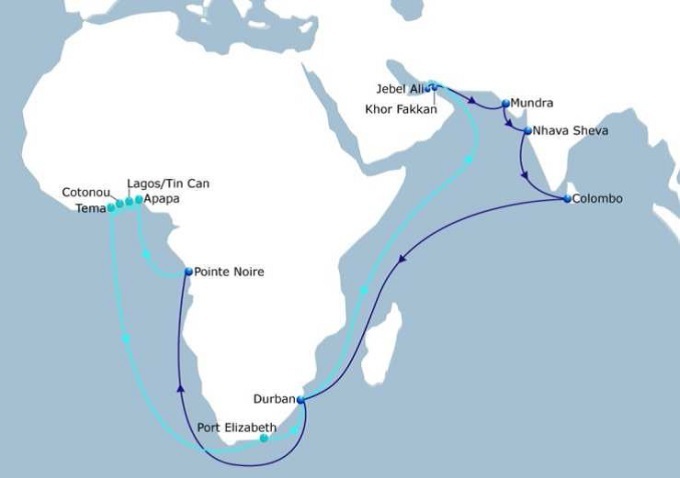 With effect from today, 23 May 2017 a second Midas service, known as Midas 2, will connect India, the Indian Ocean, the Middle East and Southern and Western Africa. The tender for the construction and supply of a new lake vessel to operate between the Lake Victoria ports of Mwanza and Bukoba will be opened on 12 June 2017. 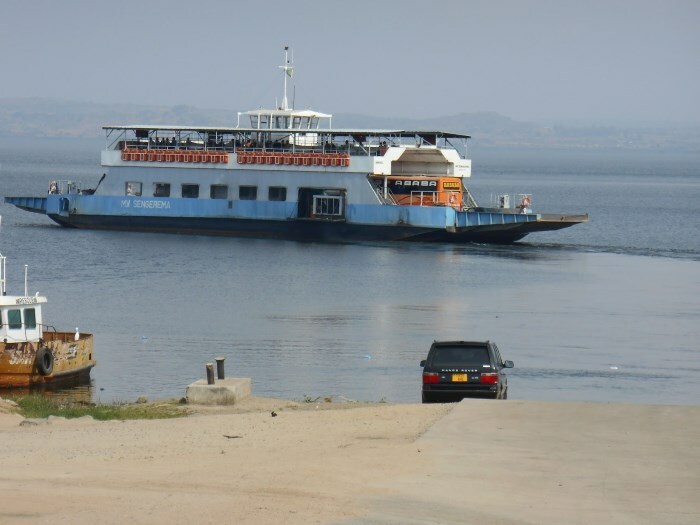 Benedict Hamisi, the acting General Manager of Marine Services Company Ltd (MSCL) said at the weekend that the new vessel will improve marine transportation on Africa’s biggest lake. Hamisi said the opening of the tenders would be a decisive step in implementing a pledge made by President John Magafuli, when he was still a candidate during the 2015 General Election campaign. 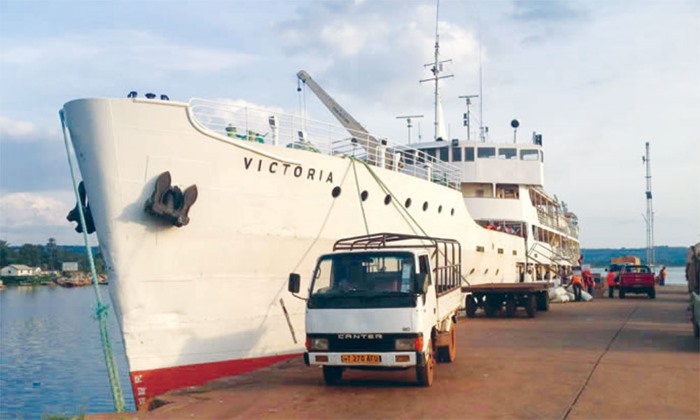 Kenya and Uganda have given indications that they intend rebuilding ports on Lake Victoria in anticipation of a return to shipping cargo and passengers across the lake. One of the real possibilities is that the lakeside town of Kisumu may end up being the terminus for the standard gauge railway (SGR) extending from Mombasa which has so far reached Nairobi. 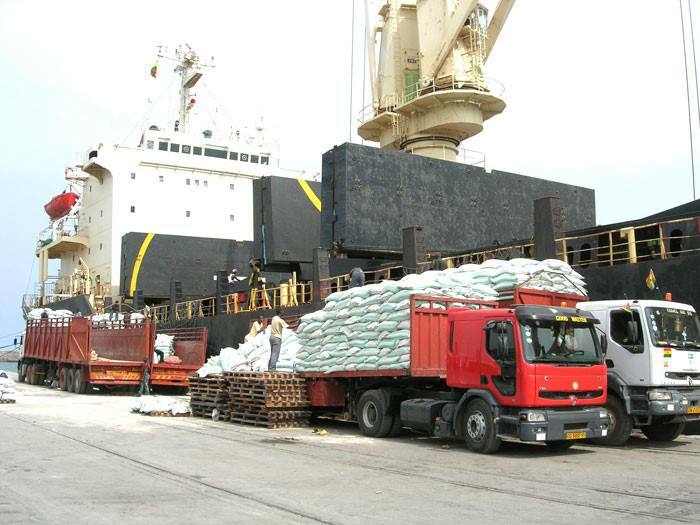 The Port of Takoradi in Ghana is not generally known as a container port, but like almost every port in the world, it faces having to handle containers at some point. Takoradi Container Terminal Limited (TACOTEL) is a private off-dock container terminal that is about a six minute drive from the port itself, so it is not a conventional terminal found within the port and with its own berth or berths – more of what in South Africa might be referred to as a large container depot. With an area of 8,700m² and a stack capacity for 7,500 TEUs the terminal’s main function is going to be the destuffing (devanning) or stuffing of containers arriving at the port. In addition to catering for the oil industry that is making increasing use of Takoradi, the terminal has options for the domestic markets as well as for landlocked markets of Burkina Faso, Niger and Mali. The terminal has been equipped with necessary modern container handling equipment such as fork lifts, reach stackers as well as a canteen to cater for port clients arriving at the terminal. Terminal Manager for TACOTEL Limited, Richmond Agyei Appiah says the facility has offices for all state agencies necessary for the smooth clearance of cargoes like Customs, Ghana Standards Authority, Food and Drugs Authority, Plant Quarantine, BNI, National Security, Police etc. 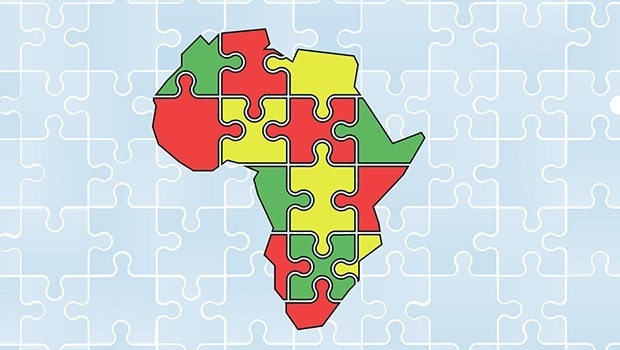 Amid an unprecedented global trade slowdown, African policy-makers, negotiators and trade analysts will meet this week (25-26 May) in Mauritius to discuss priorities for reviving world trade and strengthening their trading capacity. Since 2014, world trade has declined by more than US$3 trillion with Sub-Saharan Africa’s combined exports falling by about 40 per cent – from US$403 billion to less than US$250 billion. 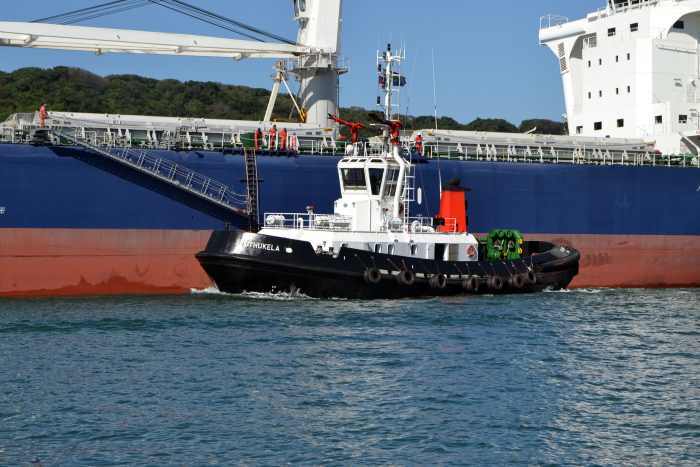 There has been another mishap involving a ship under pilotage in the Port of Durban. 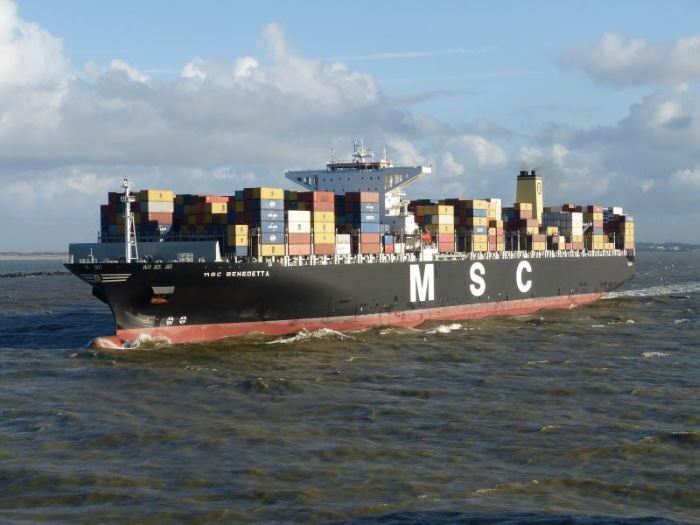 The 13,102-TEU capacity container ship MSC BENEDETTA (140,570-dwt, built 2011) was coming alongside at berth 200 at the Durban Container Terminal and the ship’s bridge wing struck the adjacent ship-to-shore gantry crane. 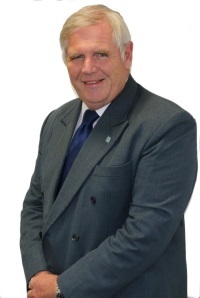 At last week’s Nautical Institute London Command Seminar held at Trinity House on 17 / 18 May Philip Wake retired after 14 years in the post as CEO and was succeeded by Captain John Lloyd. It is rare for a book to sell out before publication, but demand for The Nautical Institute’s latest book, Guidelines for Collecting Maritime Evidence, has been so strong that it has had to be reprinted before its official launch today. This practical guide is intended for everyone at sea and on shore – Master, crew and managers – who might need to handle material after a maritime incident that could be used as evidence for later legal proceedings, insurance claims etc. It is an essential tool that will remove much of the uncertainty from the task and will reduce the risk of seafarer criminalisation. The book is a completely revised edition of NI’s popular The Mariner’s Role in Collecting Evidence. The scope has been broadened and the content updated to reflect the growing importance of electronic evidence. A state safety inspector, Master, insurer, surveyor, lawyer and an arbitrator each describe evidence collection from their own point of view, explaining what material needs to be gathered and how it will be used. The book is accompanied by a separate Handbook that should be kept on board as a quick reference guide. Guidelines for Collecting Maritime Evidence was launched at the Institute’s Command Seminar at Trinity House, London. The packed programme focused on the theme of Navigation Accidents and their Causes, with presentations covering a wide range of subjects from Mentoring, Navigation Assessments and Bridge Teamwork to Ice Navigators and New Mindsets. One of key issues is how you get the information that is gathered to the next generation, she added. This is something that The Nautical Institute is tackling through its promotion of mentoring. All the Command Seminars offer excellent opportunities for debate, discussion and networking with maritime professionals. The next event takes place in Cork, Ireland, on 12 13 October, before concluding in Limassol, Cyprus, on 3 November. 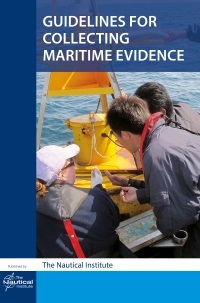 To purchase your copy of Guidelines for Collecting Maritime Evidence (accompanied by The Mariner’s Role in Collecting Evidence – Handbook) visit www.nautinst.org/pubs – price: £45; ISBN: 978 1 906915 54 4.